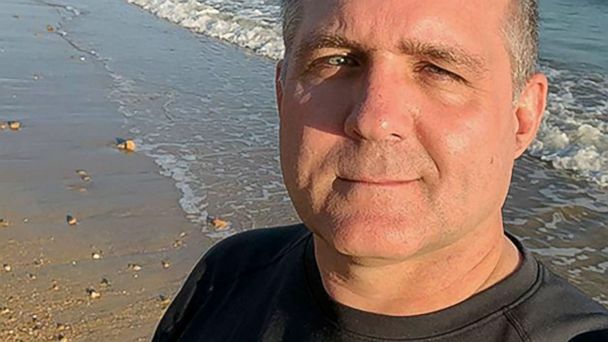 Russia on Friday said American Paul Whelan, who was arrested last month in Moscow, has been formally charged with espionage. Whelan was charged under Article 276 of Russia's criminal code, Russian Foreign Ministry spokeswoman Maria Zakharova told reporters at a televised briefing. Whelan, a former United States Marine, was detained Dec. 28 by Russia's domestic intelligence agency, the FSB, which accused him of espionage. His Russian lawyer, Vladimir Zherebenkov, has said Whelan contests the charge and intends to plead not guilty. Russian news agency Interfax reported on Jan. 3 that Whelan had been formally charged, citing anonymous security service sources. But Zakharova's comments on Friday were Russia's first public confirmation of it. Russia has still not provided any details of the charge against Whelan. Announcing his arrest, the FSB said he had been detained while conducting "spying activity" but has not elaborated. The foreign ministry spokeswoman also said Friday that exchanging Whelan for anyone imprisoned outside Russia was not being considered. "I'd like to underline that the exchange of Paul Whelan for anyone incarcerated abroad is currently not on the table," Zakharova said, according to Russian news agency Interfax. "The defendant will stand trial." Some former U.S. intelligence officers have speculated Whelan may have been taken in retaliation over the jailing of Maria Butina, the Russian gun rights activist who last month pleaded guilty in a U.S. court to acting as a foreign agent. She has admitted to trying to infiltrate American conservative political circles. Zherebenkov has suggested that Whelan could later be exchanged for Russians held in U.S. jails, including Butina. He noted, however, that Whelan could only be traded once he has been convicted.